This weekend’s Saturday Sleuthing story takes us back nearly two decades to find the Komatsu-sponsored, Longhurst Racing-run Falcon EL driven by 1980 F1 World Champion Alan Jones in the 1998 championship season. While it may not have been a race-winning car that contended for the championship, it does form part of the history of one of the greatest drivers Australia has ever produced. 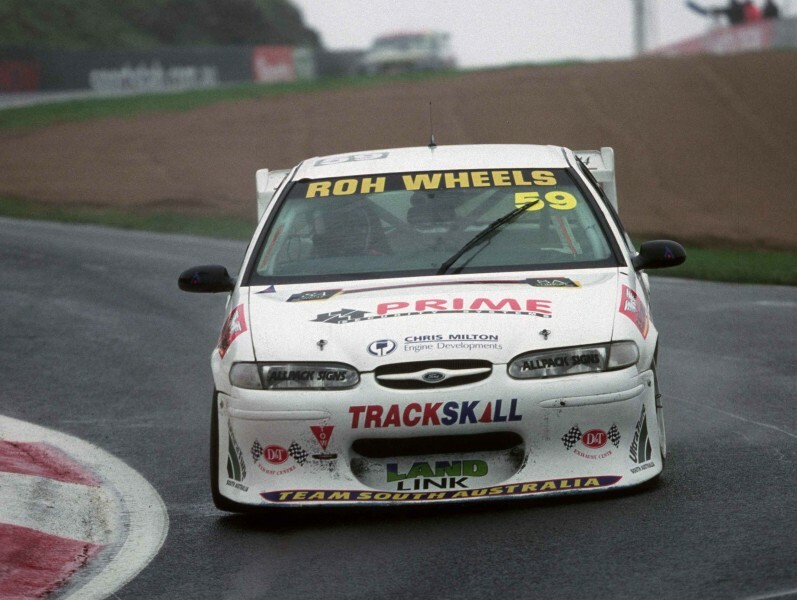 Jones was a regular part of the Australian Touring Car Championship through the majority of the 1990s, firstly driving for Tony Longhurst’s B&H team in Sierras and BMW M3s before moving and spending three seasons as Glenn Seton’s teammate in the PJ Falcon squad. The Queenslander struck out on his own in 1996 in partnership with Ross and Jim Stone to form Alan Jones Racing with a pair of Falcons backed by Phillip Morris and emblazoned with ‘Pack Leader’ on their sides, given cigarette advertising had been banned the previous year. 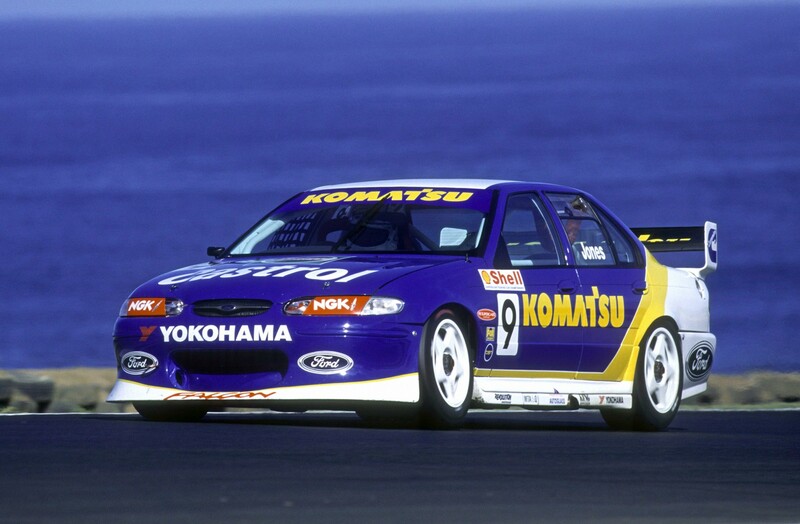 He sold out to the Kiwi brothers at the end of 1997 (and from there they re-named the team Stone Brothers Racing) but returned to the by-now V8 Supercars category the following season with the same sponsor he’d had during the previous year, Komatsu, and again driving a Falcon EL. 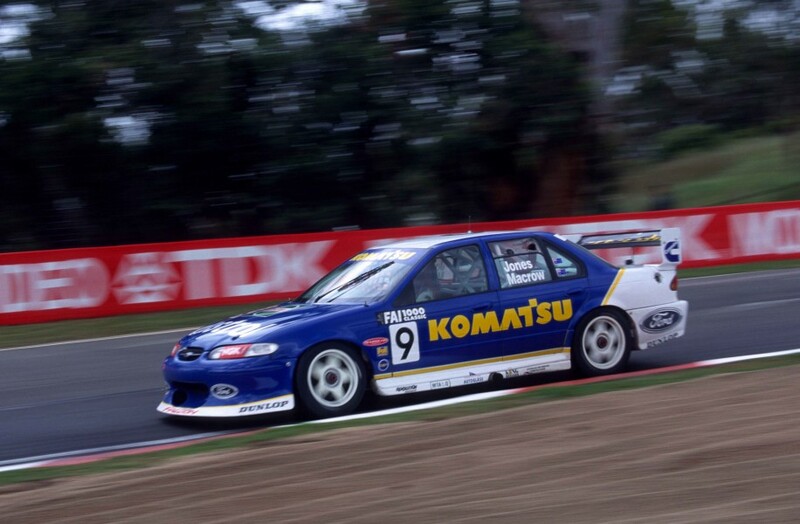 However his #9 Komatsu Ford for 1998 was actually built and run by Longhurst Racing alongside the squad’s #25 Castrol car run for its owner, Tony Longhurst, marking something of a reunification between the two after they’d last been teammates six years earlier. And it’s this Komatsu car that was the topic of an email to our V8 Sleuth by passionate Supercars fan James Turner, whose question asking the whereabouts of this particular car prompted today’s Sleuthing topic! 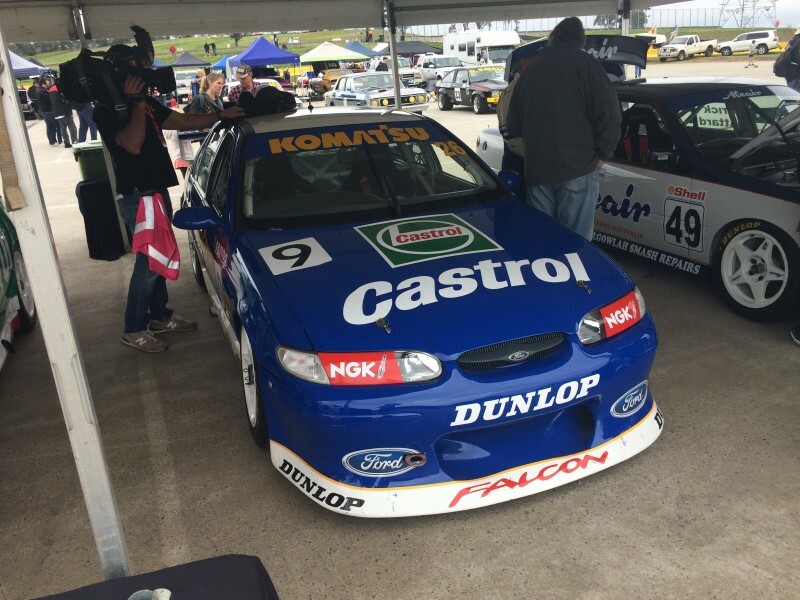 “My first favourite car was Alan Jones' Komatsu Falcon from 1998,” writes James. “I was 6 years old and I remember watching the Phillip Island round of the series. AJ and Larry Perkins had a great dice in the wet race 3 where AJ had a massive slide into the gravel at Lukey Heights. “That was the moment I fell in love with motorsport so I'm curious as to what happened to that car. James’ memory is indeed very good and this particular car was involved in a big multi-car crash at Mount Panorama in 1998. It made its racing debut at Lakeside’s third round of the Shell Australian Touring Car Championship and was driven by ‘AJ’ for the remainder of the championship, however without any top 10 round results (11th at Lakeside and Phillip Island were his best). During the championship Longhurst’s team made the decision to swap from Yokohama tyres to Dunlop, a move that made its pair of cars more competitive for the latter part of the series as well as the Sandown and Bathurst endurance races. Jones shared the #9 Komatsu Ford with then-recently-crowned Australian Formula Ford Champion Adam Macrow, though it was a miserable campaign with driveline failure off the line in the Sandown 500 meaning the race was over before it began and the aforementioned crash at Bathurst. That particular accident was triggered when speedy privateer Greg Crick tapped South Aussie Alan Heath’s ex-Moffat Falcon into a small spin approaching Forrest’s Elbow. The latter’s Falcon bounced off the earth bank and set off a chain reaction with Jones in the middle of it. The damage to the Komatsu Ford wasn’t massive but enough to finish its day. Jones departed the team at the end of the season and Longhurst upgraded to the new AU model Falcon, so this particular EL was actually sold to Heath to replace the car involved in the Bathurst accident. The South Aussie privateer ran it over the course of 1999, including in the inaugural Sensational Adelaide 500, as well as the Queensland 500 (where Warren Luff co-drove in his Supercars Championship debut) and Bathurst, where Mick Donaher co-drove. 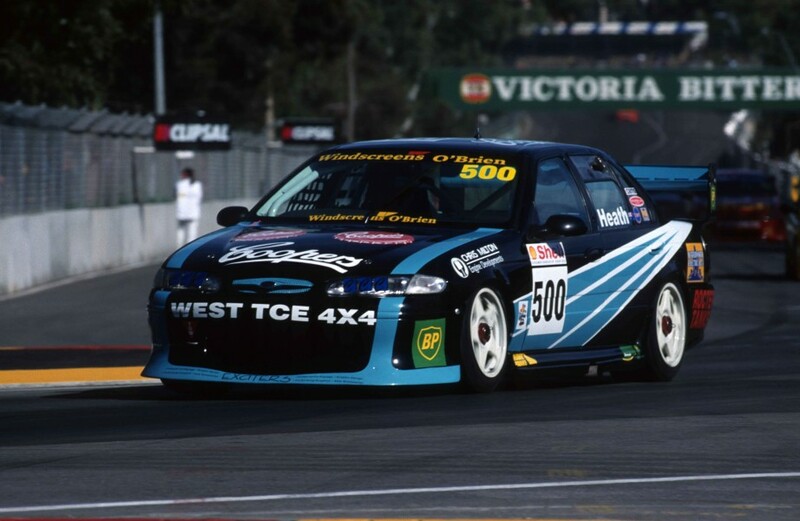 Heath appeared again in the car in 2000, initially racing in the championship before acquiring a Longhurst AU and using the EL in the new Konica V8 Lites Series for further mileage. John Scotcher, who had been assisting Heath’s team, then purchased this chassis and it ran at Bathurst with Gary Baxter and young gun Layton Crambrook at the helm. The ex-Jones car spent more time in the Konica Series in 2001 with Donaher, Adam Wallis and Stephen Voight spending time at the helm under the Team SA banner before it was sold to long-time privateer Mal Rose and used as a ride car as part of his Supercar Experience ride day business alongside a range of other ex-V8 Supercars. Collector Mark Le Vaillant purchased the car in 2011 and had it returned to its Komatsu/Jones livery. He had it out on the track back in 2015 for demonstration runs at the Phillip Island Classic and Muscle Car Masters events with the Australian 5-Litre Touring Car Association, though hasn’t had a chance to get it out since. “I’ll probably never race it myself; I had it in the Gosford Museum for a few weeks a little while ago and everyone loved it, they love the Fords!” Le Vaillant told our V8 Sleuth this week.